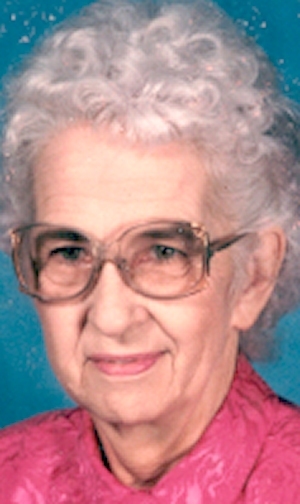 Obituary – Beaman, Ida Naomi (Barnes) « Perry High School Alumni Association, Inc.
Ida Naomi Barnes, who graduates with the class of 1943 next week, is one of a family of eight, four of whom are now serving the country. She has three sisters, one a coast guard auxiliary member, one a nurse and the third in civil service. A brother, Lee Edwin, is in the army. Miss Barnes’ plans for the next year are still indefinite. She was born in Perry and has lived near this city for 18 years. Her parents are Mr. and Mrs. Lee Barnes of route four, Perry. Naomi attended Perry public schools and Noble county rural schools before entering PHS. Naomi Beaman born on November 13, 1924 in Perry, Oklahoma returned peacefully to be with the Lord on January 30, 2006 at the age of 81. She is preceded in death by parents Lee and Dora Barnes, brothers; James Walt, Lawrence, Lee Edwin, Burton, sisters; Wanda, Arvesta, Ada Faye, Sina, and her husband of 50 years James M. Beaman. Survivors include her loving children Ralph C. Beaman and wife Kathy, Charles L. Beaman and wife Arlene, Elizabeth F. Ziegler and husband Leonard, Eugene R. Beaman, and Carolyn G. Wehring and husband James, sister Nadine B. Sallee and husband Jimmie, grandchildren Mark and Jennifer Beaman, Keith and Nicci Beaman, Kelly and Brian Walton, Shelley and Mark McDaid, Gregory and Toshia Beaman, Brian Beaman, Carolyn and Richard Perales, Casie and Cliff Bland, James Beaman and Jemma, Jonathan, Jesse, Anieka, Jacob Beaman, Stephen, Christopher, and Megan Wehring, 11 great grandchildren; Brad, Morgan, Tanner, Summer, Brooke, Allyson, Riley, Tyler, Wesley, April, Casie and other loving family members and friends. Services Visitation will begin on Thursday, February 2, 2006 at 4:00 p.m. at Mission Park Funeral Chapels South. Funeral services will be held on Friday, February 3, 2006 at 10:00 a.m. at the funeral home. Interment will follow at Mission Burial Park South. The family requests memorials may be made to Riverside Baptist Church where she faithfully served the Lord for many years. Mission Park Funeral Chapels South.